The Pajama Game is a musical based on the novel 7½ Cents by Richard Bissell (http://en NULL.wikipedia NULL.org/wiki/Richard_Pike_Bissell). It features a score by Richard Adler (http://en NULL.wikipedia NULL.org/wiki/Richard_Adler) and Jerry Ross (http://en NULL.wikipedia NULL.org/wiki/Jerry_Ross_%28composer%29). 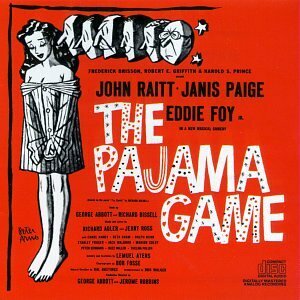 The RLOP also performed The Pajama Game in 1994.